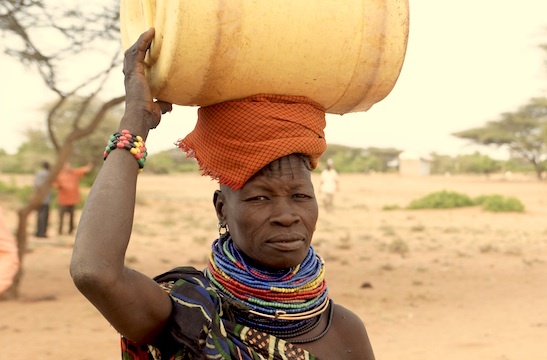 It hasn’t rained in six years in parts of Turkana, Kenya. So women and children are carrying jars on their heads after traveling miles just to get water. Did you know that women and children carrying water like this have to make this walk twice a day. On an average, it is a four-hour walk to get water. It is their only choice. It is why most children don’t go to school. They have to carry water. And the water is most often a Trojan horse. Do you remember that story? It was the gift that was hiding their death. Inside their container is a mixture of water, dirt, algae, camel and goat feces, bacteria, mosquito larvae, and other insect eggs, parasites and diseases. Who would want to drink that? But here is the choice. If you don’t drink the water, you will die now. If you drink the water, you will die later. It is estimated that there are 300 million people without clean water in Africa alone. The problem is that for so many of these people, the water is directly beneath their feet, but they simply don’t have access to it. BUT NOW CRF HAS A NEW RIG TO BRING WATER TO THE GREATEST DROUGHT IN THE WORLD. We can now bring water for less than half of what it cost us before. Can you help bring water to parched land? 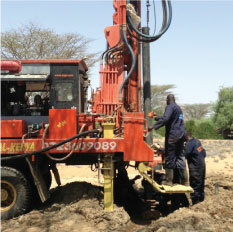 Our new drilling rig allows us to drill a well for roughly HALF the price we were paying before! 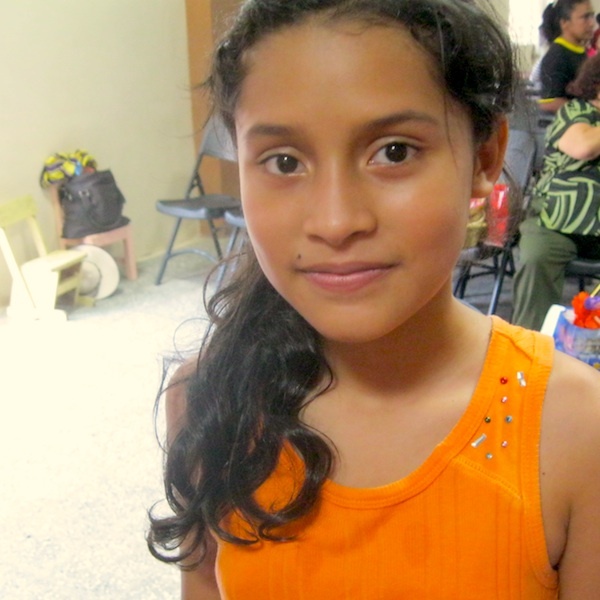 Now we can provide a plentiful, clean water source for hundreds of people for as little as $10,000 per well. This might still sound like a lot of money, but with the remoteness of the area and the depth of the water table, there is no one who can drill a deep, quality well in Turkana as inexpensively as we can! 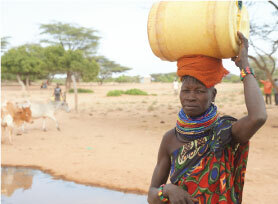 If getting water to Turkana were easy, it would have already been done. But we are confident that with your support and the hard work of our crew in Kenya, the people of Turkana will have plenty of clean water and hear about the living water very soon. HELP US BRING WATER TO THE DESERT!